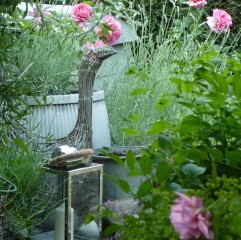 The romance continues outside with Lavender’s beautiful garden. 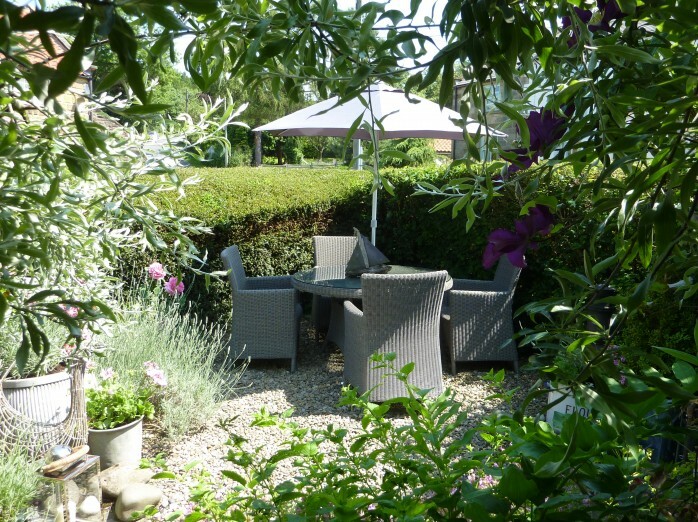 The gorgeous garden is planted so our guests can enjoy this private outdoor space. We have used a colour pallet of pinks and lavenders for the planting and the whole garden smells delicious!! 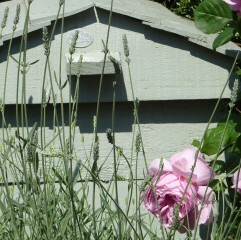 The cottage garden is garlanded with pink old fashioned roses, it has honeysuckle and clematis and of course plenty of gorgeously scented lavender! It’s perfect for lazy summertime lolling! A grey wicker table and chairs together with parasol invite you to sit and enjoy a glass of wine. There is a small chimenea and lanterns to add warmth and extend your evenings outside.